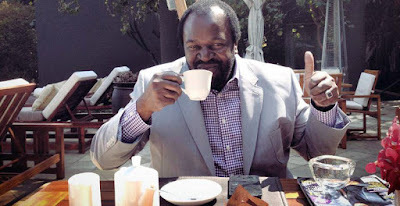 PROMINENT businessman Mr James Makamba’s empire seems to be crumbling after the High Court placed his Kestrel Corporation under provisional judicial management as Mr George Manyere fights to recover his US$2,7 million. Mr Manyere through his firm Ecsponent Zimbabwe, entered into an agreement with Mr Makamba’s Kestrel Corporation over sale of Telecel shares. However, the transaction did not go through and Mr Makamba has failed to pay back the money. High Court judge Justice Thompson Mabhikwa ordered that Kestrel be placed under provisional judicial management indefinitely so that its assets — shares in Empowerment Corporation — are protected from other legal action. “The Master is hereby directed to appoint Winsley Militala as provisional judicial manager of respondent (Kestrel Corporation), with the powers and duties set out in Section 303 of the Companies Act (Chapter 24:03),” ruled the judge. Mr Makamba — who lived in self-imposed exile for 12 years until 2017 — had yesterday not responded to questions sent via SMS. He discontinued a phone call after being informed it was from The Sunday Mail. Subsequent calls went unanswered. However, Justice Mabhikwa gave any interested parties who oppose the Kestrel Corporation provisional judicial management up to May 23, 2019, to show cause why the order should not be upheld. In his founding affidavit filed at the Bulawayo High Court, Mr Manyere said Kestrel Corporation failed to pay its debts and was being recklessly mismanaged. “There is reasonable probability that if the company is placed under judicial management it will be enabled to pay its debts or meet its obligations and become a successful concern. “Respondent (Kestrel) is indebted to the applicants (Mr Manyere and Ecsponent) and is unable to fulfil its obligations owing to its gross mismanagement bordering on fraudulent conduct. Mr Manyere said he paid Mr Makamba US$2 750 000 as deposit for the purchase of 690 000 ordinary shares in Empowerment Corporation. The agreement to sale the shares was reached at an extraordinary general meeting of Empowerment Corporation which was held in South Africa on February 9, 2017. Messrs Makamba and Manyere then signed two agreements for the sale of 69 percent of Makamba’s shares in Empowerment Corporation. Mr Manyere said his nemesis was avoiding the sale of the shares or refund the deposit and has been bringing up various proposals which were all not concluded. Mr Makamba is also being accused of selling off an immovable property – which had been used as security in Telecel deal – to a third party. “Makamba has, using Kestrel’s control of Empowerment Corporation, externalised, through violations of the country’s exchange control regulations, hundreds of United States Dollars. “…the Supreme Court clearly set out a prima facie case for the continued prosecution of Makamba. The Supreme Court ordered the trial continuation of these externalisation charges. No such trial has continued to date. Further, Mr Manyere notes, in his founding affidavit, that Mr Makamba via his Kestrel Corporation failed to honour debts in South Africa, resulting in public auctioning of the latter’s assets. The fight over Telecel shares has been raging for several years.EC was established in 1998 to ensure locals had a stake in the telecommunications business. This saw various local organisations such as Mr Makamba’s Kestrel Corporation, Dr Jane Mutasa’s Selphon Investments, Magamba eChimurenga, Integrated Engineering Group, National Miners Association and the Zimbabwe Farmers Union, getting stakes in EC. Telecel, the country’s third largest mobile phone company by subscribers, has been mired in confusion since its formation particularly regarding the ownership of EC shares.